Labels are the easy way to maintain a logical category structure on a blog and it is extremely useful to keep blog organized and user-friendly. A category navigation makes it easy for users to find your blog posts, and also facilitate them to discover similar titles on your blog. 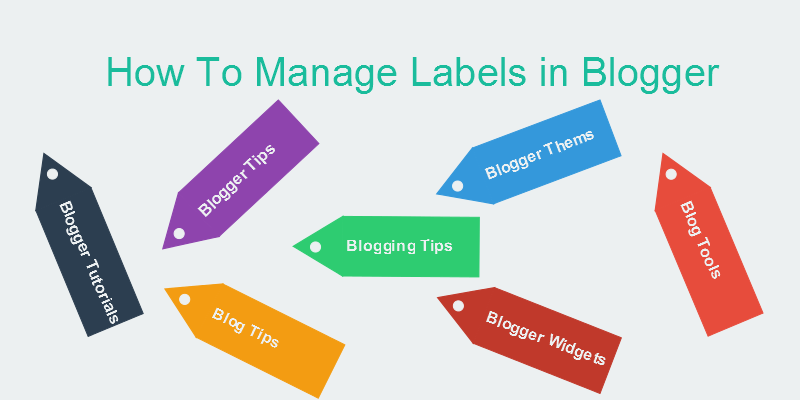 In Blogger, managing labels is quite simple. In this post, we will look at how to add, edit or remove labels in Blogger. How To Manage Labels In Blogger? New Label creation is the quite simple in Blogger. While writing a new blog post in blogger editor, you can create/add a label by typing label name into labels section in right sidebar. You can also select existing label by typing first character of it and then select label from existing list. After clicking you will be asked to enter the name of a label, write it and then click "ok". A new label will be assigned to posts you selected. Unfortunately, there is no way to Edit Label in Blogger however you can change certain label for single or Multiple post by removing the existing label and adding New Label for that post as shown in screenshot. 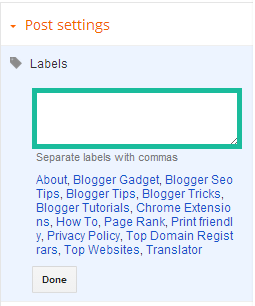 In Blogger, unused or unassigned labels will get deleted. So, if a label is not assigned to any post, it will be removed automatically by Blogger. Note: Be careful while adding or removing a label for multiple posts. Labels are extremely useful to generate related articles/posts of same labels in blog, which in-turn improves bounce rate by increasing page views in blog.